Play bingo with a bang @ Cheers! Claim up to £2520, free! If you can’t decide whether you love slots or bingo more then you’ll be glad to know that there’s a game out there that brings them both together. Slingo is the name of the game and it has everything that you need to have a fab time and change up your gaming routine. 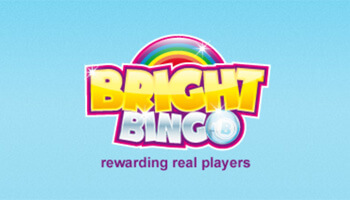 This game takes elements of bingo and slots to make a fantastically innovative game. You’ll get your usual 5 x 5 bingo card, the numbers called then appears at the bottom of the screen to match up to the squares in play. There are 12 fixed pay lines to match up your numbers over and once you start playing you’ll turn into a pro in just a few games. Once you’ve decided on the size of bet you would like to place then it’s time to click the spin button and watch the card shift before your eyes. There are 11 calls per Slingo Bingo spin, which will start to fill up the pay lines as you select where you’ll place the joker symbol. This can be a part of any pay line and take the place of any number on the card to help you score big.  At the end of the calls your total win will be revealed and then you’ll be ready to jump back into yet another of these exciting games. You can play this on desktop computers and mobile devices so you can get you Slingo games fix wherever you might be. The main strategy for the game is to choose wisely where you place your joker symbols, as these should intersect the highest amount of pay lines possible. You can start your games off with a lower bet and once you’re comfortable with the concept you’ll be ready to place a higher bet and make a higher jackpot. There are also other symbols in play such as the devil symbol, which will block the pay line that it’s on. 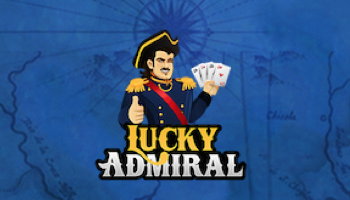 You can also win free spins in this game, which gives you a chance to try out more combinations and techniques. The biggest difference between Slingo and regular video bingo is the wealth of extra symbols that can appear during your games. Some of these can hinder you and others can help you on the way to a win but all of them serve to make the game full of anticipation. If you want to play video bingo and try out this slightly different way to play bingo then you can do so at the following bingo sites. Cheers Bingo – This is a site with a celebratory fizzy twist, and they’ll set the bingo off with a bang when you get depositing. 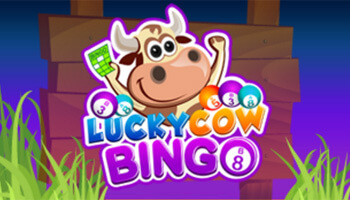 Lucky Cow Bingo – On this sweet site you just need to deposit £10 to win up to 500 free bingo tickets in just one spin. You could win enough tickets to keep you playing for a long time if you keep your fingers crossed. A tenner deposit could win you up to 500 free bingo tickets! Join Lucky Cow Now!